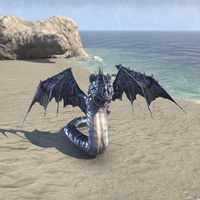 Reef Vipers are hostile animals found on the beaches of Summerset. They appear to be related to Lesser Sea Adders. Keelsplitter, a reef viper boss found at Keelsplitter's Nest. Vsskalvor, a reef viper found in Abyssal Geysers. Kolondir the Demon, a reef viper found in Sunhold. This page was last modified on 22 October 2018, at 19:36.